It may seem like there are few if any last true wild places left on Earth, but if you know where to look, they can still be found. Step into any one of these wilderness destinations, and you’ll quickly forget about that smartphone, computer, and the chaos of the modern world back home. Torngat Mountains National Park is the quintessential true wilderness area. It’s not easy to get there, but once you do, you’ll find a world of dramatic mountains, glaciers, icebergs, polar bears and caribou. This is a place where Inuit still hunt, fish and get around just like they have done for thousands of years. Newfoundland and Labrador’s newest national park is made up of 3,745 spectacular square miles of pristine wilderness that stretches from Saglek Fjord to the northern tip of Labrador, and west from the Atlantic seacoast to the Quebec border. Thanks to Torngat’s remote location, it has remained practically untouched by humans, but that means that getting there isn’t exactly a walk in the park. There are no roads or campgrounds – not even any signs directing you where to go. You’ll need to either go with on a special tour, hire a charter, or utilize the services of Torngat Mountains Base Camp which offers a variety of packages – none of which are cheap. But, to visit a land like this, is an experience of a lifetime, well-worth the cost, if you can swing it. Uttarakhand forms part of the Himalayas, but most travelers to this region tend to overlook it. Hindus consider it a pilgrimage center as the area is home to some of the most revered Hindu shrines, but it also hosts rare species of plants and animals, breathtaking jagged peaks and Valley of Flowers National Park. Two of the country’s greatest rivers, the Ganges and the Yamuna, originate in the glaciers. Journey to Auli, which sits at more than 10,000 feet above sea level, and you’ll discover a hidden treasure that few other tourists venture to, with countless picture-perfect spots and opportunities for the ultimate in peace and tranquility. One of the best ways to experience Uttarakhand, is by staying at Dunagiri Retreat, an eco-yoga retreat that offers a lot more than yoga. Village walks, wilderness hikes, cooking lessons, the chance to learn about local medicinal herbs or even paint a mural with a local artist, are just a few of the activities available. Canada’s Yukon Territory boasts vast areas that are completely undeveloped, and most of it is outside cell phone range. Some travelers head here for the bright lights – but not of the big city. The aurora borealis puts on a stunning natural light show between late August and early April. During the peak of summer, you’ll have over 20 hours of sunlight to enjoy the numerous outdoor adventures available in this true wilderness, including hiking, horseback riding, fishing, mountain biking, canoeing, kayaking and much more. With so much room to roam and very diverse terrain, the wildlife watching is amazing too, including the chance to spot black and grizzly bears, wolves, caribou, moose and Dall sheep. An adventure here, is similar to what First Nation peoples and old-time prospectors experienced so many years ago. Iceland’s northwest corner, typically referred to as the Westfjords, is one of its best kept secrets. As it’s quite isolated and largely uninhabited, the area has remained an unspoiled wilderness that travel experts consider a must-experience for any serious explorer. It’s home to Hornstrandir, an uninhabited peninsula and nature reserve that serves as a haven for the Arctic fox and a wide variety of bird life. Hornbjarg is a sheer cliff that sits adjacent to the cove of Aðalvík and the bay of Jökulfjörður is considered one of the nation’s greatest seafowl habitats. The highest peaks of its razor-backed ridge reaches more than 1,750 feet above sea level. As it’s also one of Iceland’s most remote destinations, to get there requires a two-and-a-half-hour one-way boat ride from Ísafjörður, mostly through the Arctic. But that’s the reason you probably won’t run into many other tourists, and if you can manage the journey, you’ll be treated to one of the most magnificent sights along Iceland’s coastline. Another highlight in this grand wilderness region, is Dynjandi, an enchanting series of waterfalls with an accumulated height of over 328 feet. Lapland is in the far north of Europe. This vast region is spread largely within the Arctic Circle, stretching across northern Norway, Sweden, and Finland, and into the Kola Peninsula of Russia. Despite its massive size, it’s very sparsely populated, offering plenty of opportunities for peace and solitude, including the chance to hike for weeks without running into another human, and view the aurora borealis with little light pollution to interfere. In Finnish Lapland, you can enjoy a little luxury with your wilderness experience by staying at the Nellim Wilderness Hotel. The hotel is surrounded by breathtaking wilderness, set along the shores of Lake Inari near the Russian border, and offers an especially quiet, remote adventure. Here, you can spend your nights in heated glass pods known as “Aurora Bubbles,” which allow guests to watch the dramatic light display in comfort. You’ll also have access to a variety of outdoor equipment like toboggans, kick sleds and skis, as well as a traditional Finnish sauna for warming up after a day’s activities. The Knoydart Peninsula, nestled in the Scottish Highlands, is a wild, rugged, isolated and spectacular destination often referred to as Scotland’s last wilderness. Cutoff from the mainland, Knoydart is only accessible by foot, or by boat, including a traditional wooden ferry that delivers passengers several times a day. The only village in the area is Inverie, which is home to just 60 residents, though it boasts Britain’s most remote pub, The Old Forge Inn. That means your wilderness experience can include a historic pint, or two, along with fresh seafood caught in the surrounding waters. If you’d rather explore on two wheels than two feet, rent a mountain bike and hit the trails, crossing exhilarating mountain passes and stopping on picturesque sandy beaches. Gaze out at the water, and you might catch a glimpse of a porpoise, dolphin or whale swimming by. Greenland is becoming an increasingly popular vacation destination, but for now, most of it still remains untamed wilderness. It has a population around 56,000, but all of its residents live on the outskirts, as the interior of the country is mostly ice. Greenland’s ice sheet lies inside, measuring two miles deep, and encompassing 660,000 square miles. But this country, with the world’s lowest population density, offers the chance to experience the midnight sun, dogsled through frozen tundra and marvel at the northern lights. 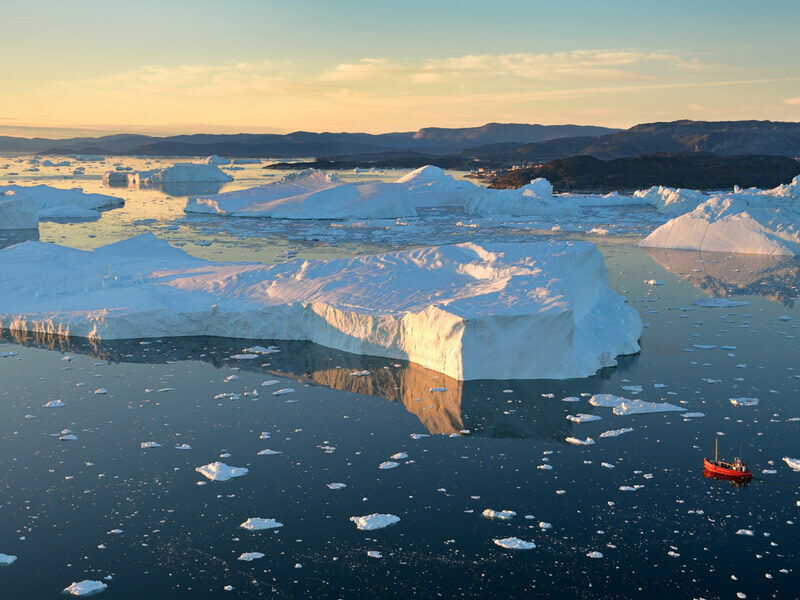 The icebergs and glaciers are one of its biggest draws – although the ice is melting at a rather rapid rate, there are still many that can be seen, including Ilulissat Icefjord in North Greenland. Sailing between the skyscraper icebergs in the water here is a surreal, humbling experience – and, during the “golden hour,” late in the evening, you can take a midnight cruise and marvel at how the bergs change from white and blue to hues of red and orange when struck by the midnight sun. While it was once an inaccessible destination, today, there are flights that will bring you to Greenland from Reykjavik, Iceland as well as Copenhagen, Denmark. America’s largest and least densely populated state is home to many wilderness areas, some of which sit hundreds of miles from human development. There is no place in the country as pristine as the Arctic National Wildlife Refuge. Numerous Arctic animals can be found here, including brown and black bears, moose, wolves, musk oxen, arctic foxes, polar bears, and caribou. Whales and seals migrate through Arctic seas and birds traveling from as far away as Antarctica fly overhead. The area provides crucial habitat for polar bears and serves as a calving ground for the Porcupine caribou herd that sustains the indigenous Gwich’in Nation, making the coastal plain a treasure for both wildlife and native peoples. This is eight million areas of true wilderness – there are no hiking trails, facilities or visitor centers. Snow covers the refuge nine months of the year and air travel is the only way in or out, making it feel very much like the last frontier. While you might not think a national park in America’s Lower 48 could be home to a “true wilderness area,” 95% of Washington’s largest wilderness area is largely untouched, filled with glacier-capped peaks, temperate rainforest with old-growth trees that provide habitat to all sorts of wildlife, magnificent waterfalls, high alpine lakes and nearly 50 miles of rugged ocean coastline. Its highest peak, Mount Olympus, has the third largest glacier system in the continental U.S.
With more than 600 miles of trails in the park, and nearly a million acres of wilderness to explore, backpacking is the best way to get up close and personal to one of America’s last remaining wild areas. Some of the best routes include Enchanted Valley and Royal Basin. In the less-visited top end of the Northern Territories, you can explore some of Australia’s most untamed wilderness: Kakadu National Park. Its highly protected landscape belongs, both spiritually and legally, to the Aboriginal tribes of the area, who have lived here for 50,000 years. The over 7,700-square-mile park’s aboriginal owners have spent centuries among its rock art, wetlands, gorges and striking escarpment scenery. But visitors are welcome, and you can pitch a tent and camp by a billabong, glide down rivers alongside giant crocodiles, stroll through ancient lands, take a dip in croc-free designated waterholes, or join a tour to learn more about the local aboriginals. And, catching a glorious sunset from Pocock Beach is an absolute must. Tasmania is known for its remarkable natural beauty, with brooding mountains, stunning beaches and some of the freshest, cleanest air you’ll ever breathe. 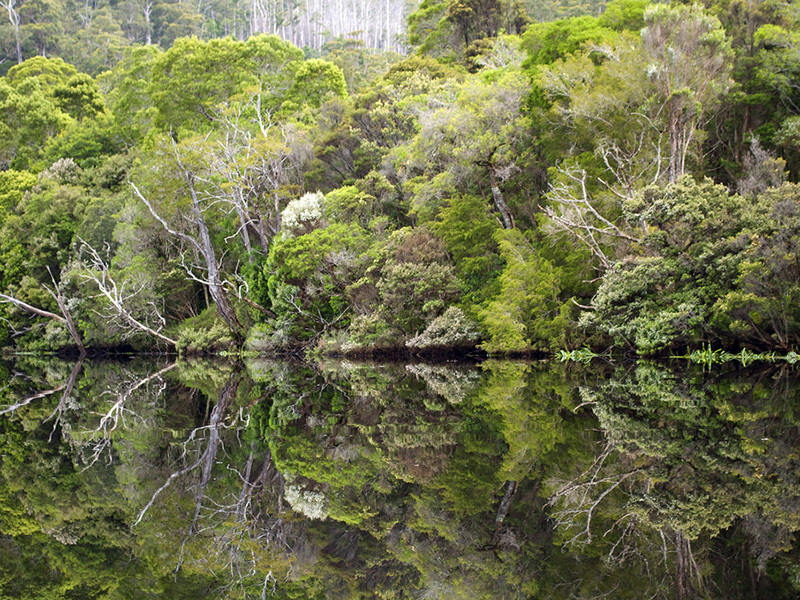 Within this isolated Australian island state, is a rarely visited, ancient and pristine forest wilderness: the Tarkine Rainforest. Often called the “forgotten wilderness,” it sits in Tasmania’s northwest corner as a spectacular wonderland of hidden waterfalls, giant tree ferns, wild rivers, sand dunes, caves, rare birds like the threatened orange-bellied parrot, and the famous, nearly-extinct Tasmanian devil – he’s not just a cartoon, he’s the largest carnivorous marsupial in the world. To explore it, you can head out onto the trails, or the waterways, on your own, or with a guided tour. Located in the Andes Mountains of Bolivia, Salar de Uyuni is the largest salt flat on Earth, covering 3,860 square miles. 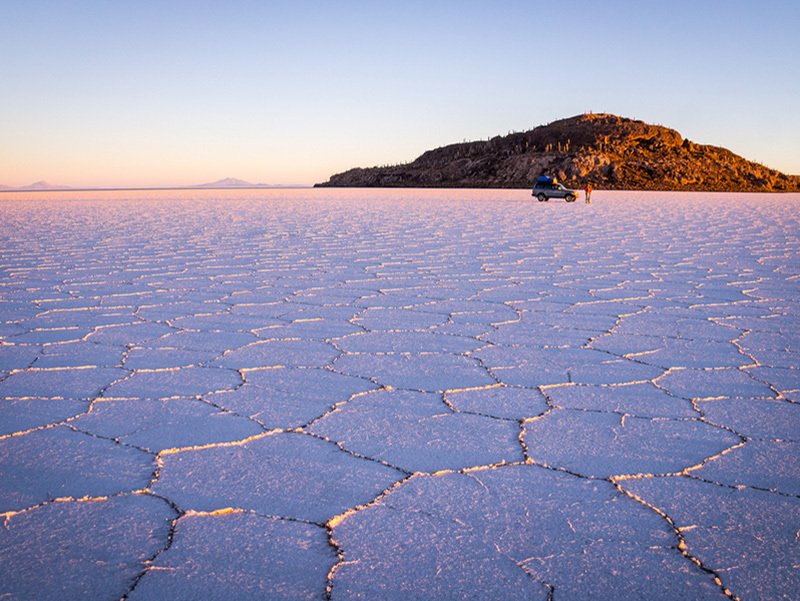 The expanse of salt creates an unending white landscape during the dry season, June and July, dazzling the eye and playing optical tricks that make it seem like you’re viewing white hexagonal tiles of salt that go on forever. Many feel the area is most stunning during the rainy season (America’s winter, Bolivia’s summer), when it’s covered in water, resembling a massive mirror. The reflection of the blue sky creates an even more surreal landscape. Up until 2011, the Uyuni airport was just a landing strip for mining companies, but now there is a terminal, an extended runway and daily flights from La Paz, making it much easier to get here. Most arrive via a multi-day 4 X 4 tour, which also brings visitors to other impressive attractions in the surrounding desert, like natural hot springs, geysers, rock formations and colorful lakes that are home to hundreds of pink flamingos. Of course, the most obvious true wilderness destination is Antarctica, a vast continent where humans have never settled, at least permanently. Some regions are ripe with life, like places where you’ll see those famously playful penguins and other seabirds, along with whales like humpback, sperm, blue and orca, and other marine mammals feeding in the nutrient-rich waters. Though, there are other areas that completely devoid of life. 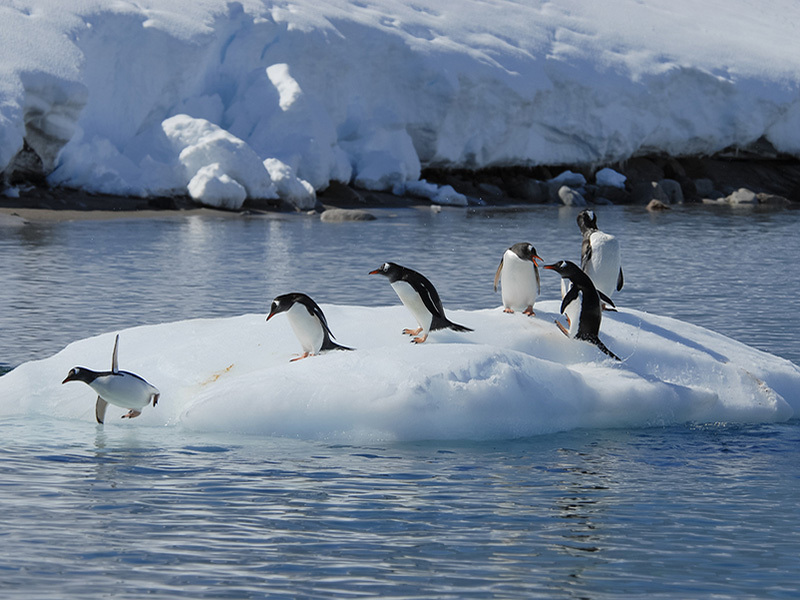 Antarctica is one of the most untouched and unusual places on Earth to visit; it’s the only permanent landing area for the Emperor penguin, and one of the few places you can hear the thundering sounds of icebergs calving off glaciers. The grandeur of Antarctica’s mountain ranges, with peaks reflected in icy blue waters and those colossal sheets of ice, are a sight that few humans get to experience – if you’re one of them, consider yourself very lucky. 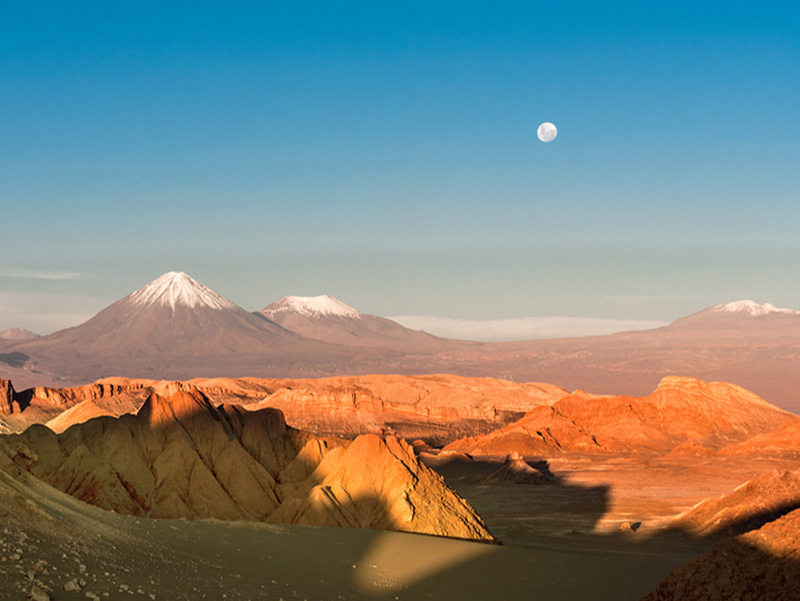 Chile’s Atacama Desert is one of the driest places on Earth. It’s so harsh that humans are unable to inhabit it permanently, though the extremely harsh climate attracts scientists and adventurers who are fascinated with this very unique destination. Astronomers are drawn to Atacama’s almost always cloud-free skies, with the dry air resulting in few distortions from atmosphere vapors. As such, there are a few observatories here like ALMA, the world’s largest radio telescope. If you’d like to explore it, you can arrange an excursion with a local tour company, or stay at one of the all-inclusive hotels that offer tours, like Explora and Tierra Atacama. Just a few of the options include driving across a salt lake, watching spouting geysers, discovering petroglyphs and visiting Calle de la Luna, the “Valley of the Moon.” Here, the giant sand dunes and stone formations mimic the surface of the moon. The uniquely beautiful color of the landscape is caused by the way the salt formations reflect the sun. It’s one of the best places in the world to watch a sunset,with low light heightening the textures and deepening the fiery red, yellow, green and even blue shades. Odds are, you’ve never even heard of the Great Bear Rainforest, but that reason alone makes it a good one to visit. This is one of the largest remaining tracks of temperate rainforest left on the planet. It stretches along British Columbia’s island-dotted coastline, and hosts 1,000-year-old cedars and other giant trees, along with glacier-fed fjords. This remote and stunning expanse is home to many First Nations communities as well as lots of wildlife, including grizzly bears, coastal gray wolves, cougars, mountain goats, Sitka deer, orca, sea lions, sea otters, humpback whales, and, the rare, cream-colored Kermode bear, also known as the “spirit bear,” considered sacred by the T’simshian people. For wildlife lovers, seeing one is the prize of a lifetime. One of the best ways to explore this region, and spot the unique Kermode, is to join an expedition. Spirit Bear Lodge, located in the tiny First Nations hamlet of Klemtu, arranges wildlife-spotting excursions with local guides. 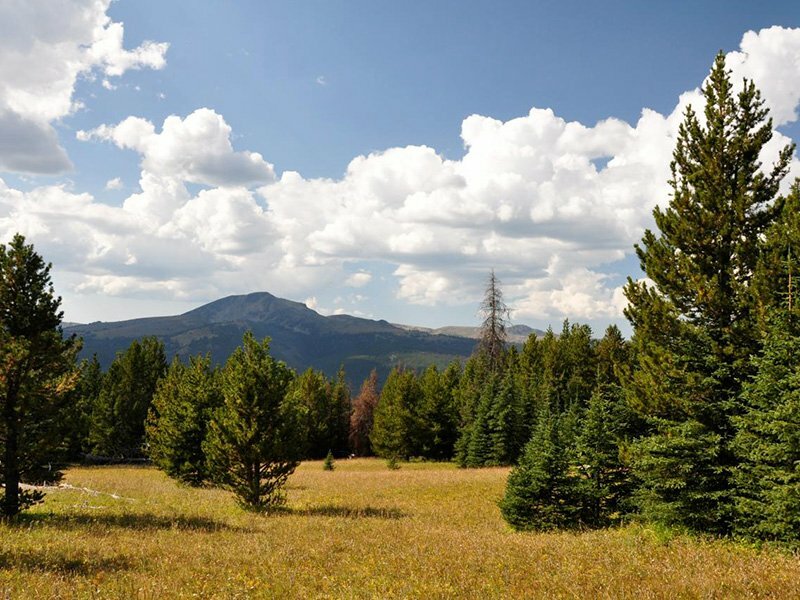 Montana is renowned for its vast, wild, open spaces, and the Bob Marshall Wilderness Complex, located in the northwestern part of the state, may top them all. Following the Continental Divide for 60 miles, it’s made up of more 1.5 million acres of rocky ridges, alpine meadows and dense forest, as the third largest wilderness area in the Lower 48. It’s populated by all sorts of iconic wildlife, including wolves and grizzlies, as well as lynx, moose, mountain lion, mountain goat, elk, deer and wolverine. Not only is the scenery to-die-for, the area contains what some believe to be the most dramatic natural feature of the Rockies: the Chinese Wall, a limestone escarpment deep in the wilderness and a part of the Continental Divide. 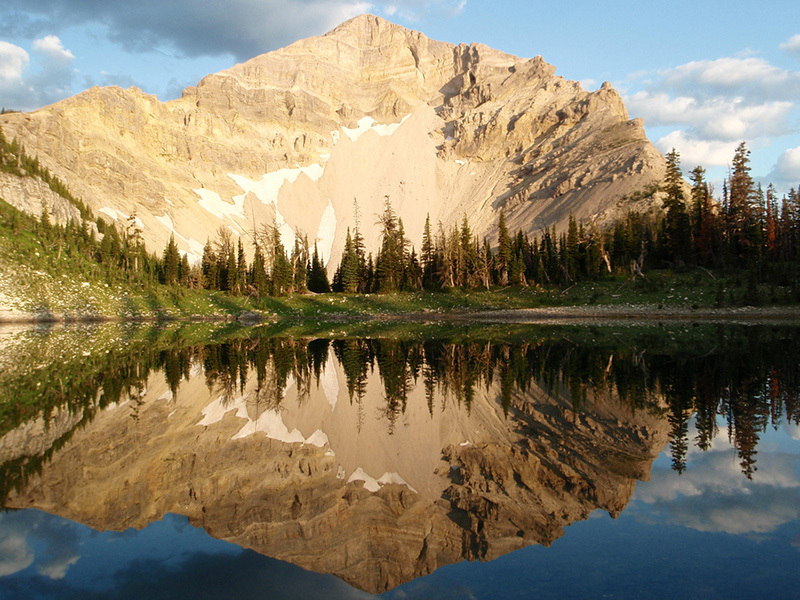 Located on the northern edge of Nevada’s Great Basin in northern Elko County, the 113,000 acres of Jarbidge Wilderness is one of the most remote areas in one of the most remote regions of the United States. It’s home to dramatic mountains with peaks that soar more than 10,000 feet, deep canyons, and 100 miles of hiking trails in a landscape that looks more like it belongs to the Alps than than Nevada. Those visiting Jarbidge with the perception that this state is a dry and desolate, are shocked to discover this area with rock formations jutting all around and roaring creeks ripping through the canyon. 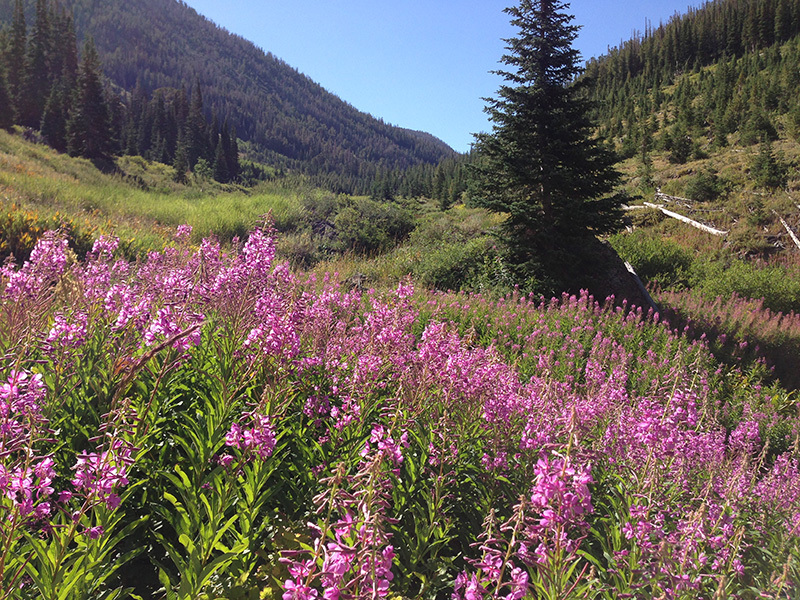 The lush forest setting also hosts an incredible array of wildlife, including elk, mule deer, coyote, mountain lion, golden eagles, and, during the late spring and summer, over 600 varieties of wild flowers that make the hills spring to life with unimaginable vibrancy. 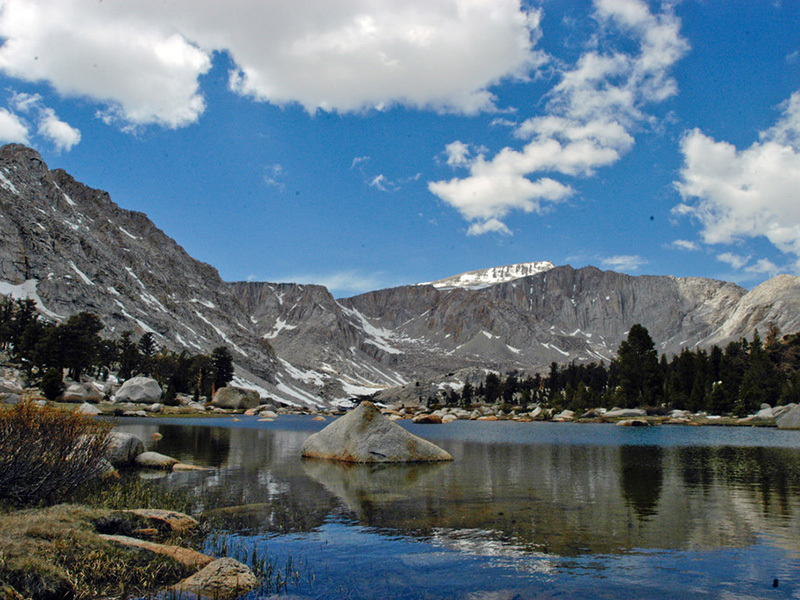 The Golden Trout Wilderness Area covers more than 300,000 acres at the southern end of the Sierra Nevada in California. Its traversed by hundreds of miles of scenic trails and two wild and scenic rivers. Not surprisingly, the area is most famous for its namesake, the brightly colored state fish known as the Golden Trout, which is native only to these waters. In addition to being a famous spot for alpine trout fishing, the North Fork River that rages through one of America’s most vast, wild landscapes, offers some of the best whitewater adventurers that challenge even the most experienced paddlers. With so many scenic backpacking and horse riding trails, including a 40-mile section of the Pacific Crest Trail, and the Cottonwood Pass Trail, it’s a haven for hikers and horseback riding enthusiasts too. Covering a vast swath of the North Cascades, the Pasayten Wilderness Area runs along the Canadian border in Washington State and is one of the largest, yet least visited wilderness areas in the country. Its more than 530,000 acres and 600 miles of trails are virtually unknown to all but locals and serious wilderness explorers, many of whom come to experience its incredible array of wildlife, including black and grizzly bears, gray wolves, lynx and the elusive wolverine, as well as an abundance of mountain goats, elk and moose. It’s no wonder that this extraordinary unspoiled region is considered by some to be the epicenter of the legend of Big Foot.